The third Sunday in January is World Snow Day. This holiday was created by International Ski Federation (FIS). FIS is an international organization that governs skiing and snowboarding. The organization was founded in 1924 and it became the world highest body for international governing of skiing. It bases in Switzerland and has membership of 188 national ski organizations. 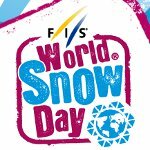 FIS is responsible for different snow activities: Alpine skiing, ski jumping, cross-country skiing, freestyle skiing, Nordic combined and snowboarding. World Cup and World Championship competitions are organized by the federation for some of the snow disciplines. World Snow Day is the second phase of the campaign Bring Children to the Snow. The campaign was created to motivate children to celebrate all things connected to snow around the world simultaneously. It means that World Snow Day is the biggest snow-related event of a year. Every child aged from 4-14 can participate in different activities, that are planned for World Snow Day.